RT-PCR summary sheet now updated to include the A/ASIA/G-VII lineage-specific assay. Supplied here are a series of leaflets desibribing real-time RT-PCR assays that have been designed to detect different Foot-and-mouth disease virus lineages in different parts of the world. 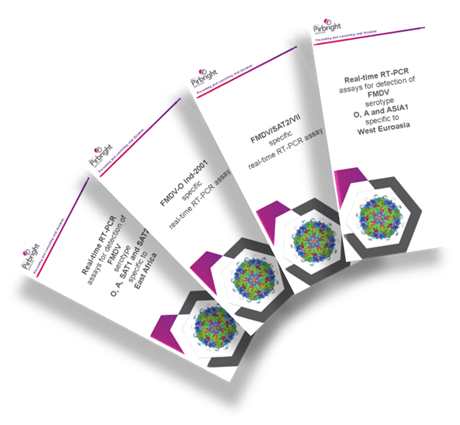 Each leaflet describes an assay for particular FMDV lineages expected to be circulating in a geographical location. A summary of all these real-time RT-PCR assays (found in all the leaflets) can be found here. This set of real-time RT-PCR type-specific as-says was designed for the detection of FMDV strains currently circulating in West Eurasia (Reid et al., 2014). This FMDV-O Ind-2001-specific real-time RT-PCR is a molecular tool for detection of foot-and-mouth Disease virus O/ME-SA/Ind2001 lineage (Knowles et al., 2014). This real-time RT-PCR is a molecular tool for detection of Foot-and-mouth disease virus SAT 2/VII topotype and was developed in response to the SAT 2 outbreak in Egypt in 2012 (Ahmed et al., 2012).  Outside of Egypt this lineage has been detected in Libya, Palestinian Autonomous Territories, Eritrea and Cameroon.